If You Take a Tumble, Get Up and Ride Again. Ah, started classes with an actual bang. Some of the girls and I met up for lunch at Brug 34 on Wednesday, where Nat’s Dutch friend works. He makes a mean iced coffee, even though those don’t really exist here. Wednesday was my first Food Production lecture at Science Park and I really enjoyed it; it’s difficult to understand Dutch accents sometimes but that hasn’t caused much trouble yet. Nathan and I were cycling home through Centraal during rush hour and I took quite the fall off of my bike– but it was bound to happen one of these days! A man biking in the opposite direction was trying to pass the person ahead of him (therefore getting very close to me) and our handlebars hit each other. I, of course, went flying forward off of my bike and have the scars to prove it. Just last night I watched Nat get caught in the tram lines and fall off of hers, and I keep giggling thinking about how silly bike accidents look, so I hope someone at least got a laugh out of mine. The only thing you can do is get up and keep riding, even if you’re terrified of any bike coming in your direction for a while. Still went to Coco’s on Wednesday night after the accident and enjoyed all of my international friends! 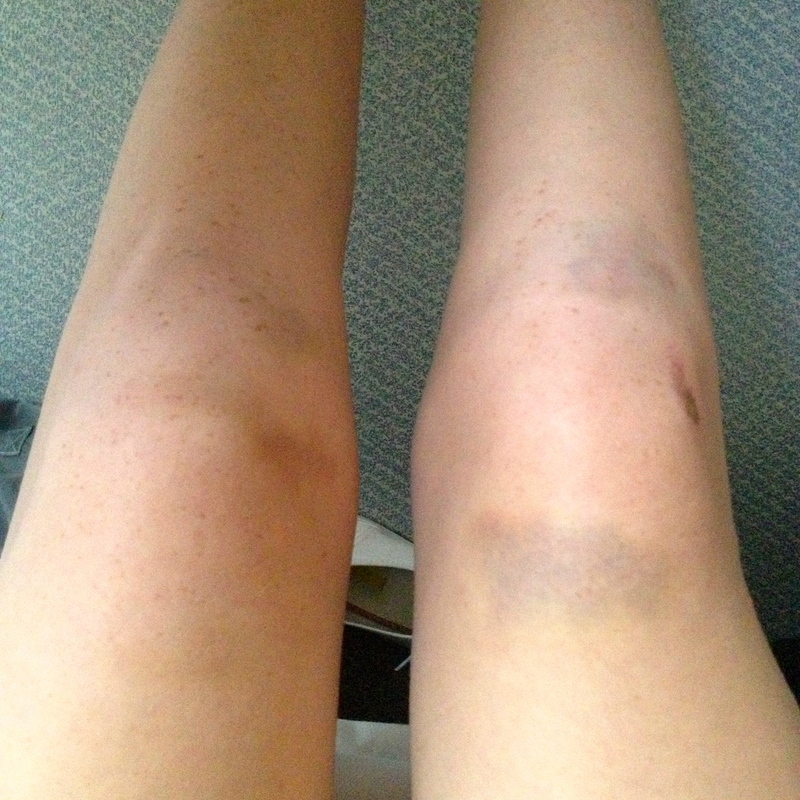 My wounds from the fall, they look worse in person. Amsterdam was incredibly hot this week, maybe even worse than Texas right now. It’s humid and there’s no escape from the heat, even at night. I spent Thursday around town finding my Dutch language books as well as so many cute little stores on Spuistraat (Anna, a present will get to you eventually). Despite the crazy heat, I mustered up the energy to cook on Thursday night and made an excellent risotto. 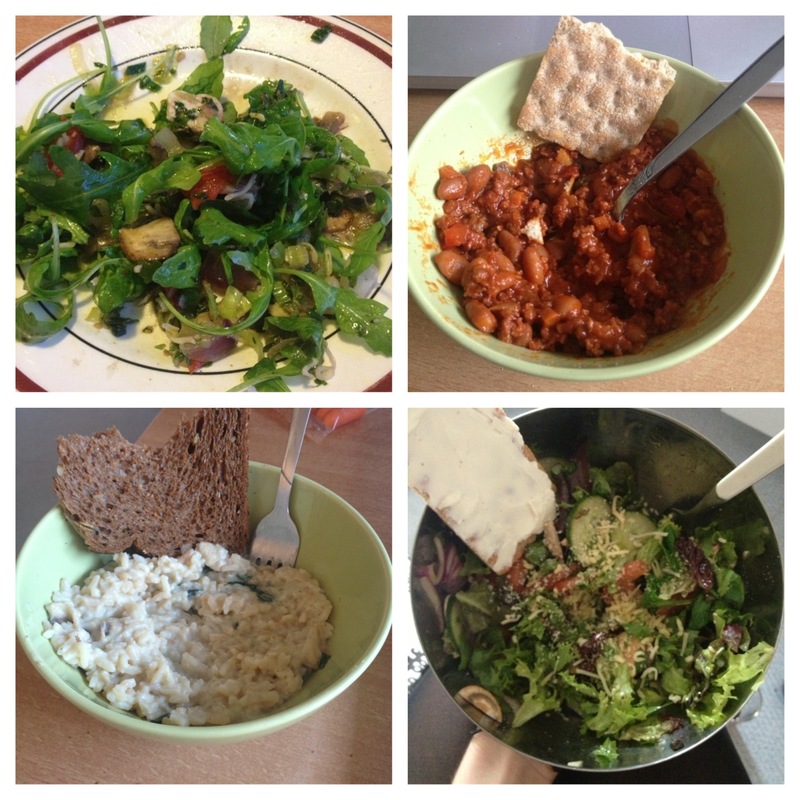 I want to take time now to focus on my cooking skills, which have dramatically improved! I really enjoy cooking, and especially enjoy finding deals at supermarkets and grocers. I had to go back to Science Park on Friday for a refresher lecture on genetics and an introduction to what we’ll do in our lab. We’re actually going to go grocery shopping and do DNA tests on the food to determine whether the corn or wheat was genetically modified–I’m really excited! I took a train to Science Park this time which I ended up being so happy about as it started pouring on my way home. I’ll eventually start riding in the rain, but I wanted to see what Amsterdam rain is like first. Friday night, some of us (Nat, Jas, Devon [new Canadian friend], Leah) went to Amsterdam Roest (where that Moderne Hippies Markt was) and it was so hip I couldn’t even stand it. Since Roest is pretty far north and removed from the city center, absolutely no tourists go. We actually ended up seeing some of our young UvA global exchange mentors there and hid from them. 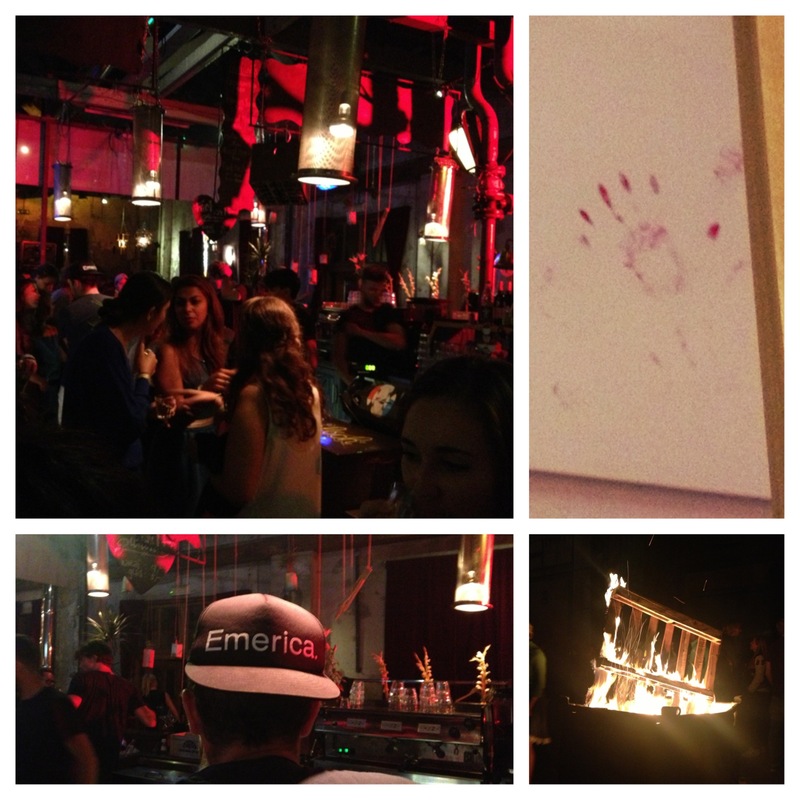 One thing about bars here is that people of all ages go and have a really great time. 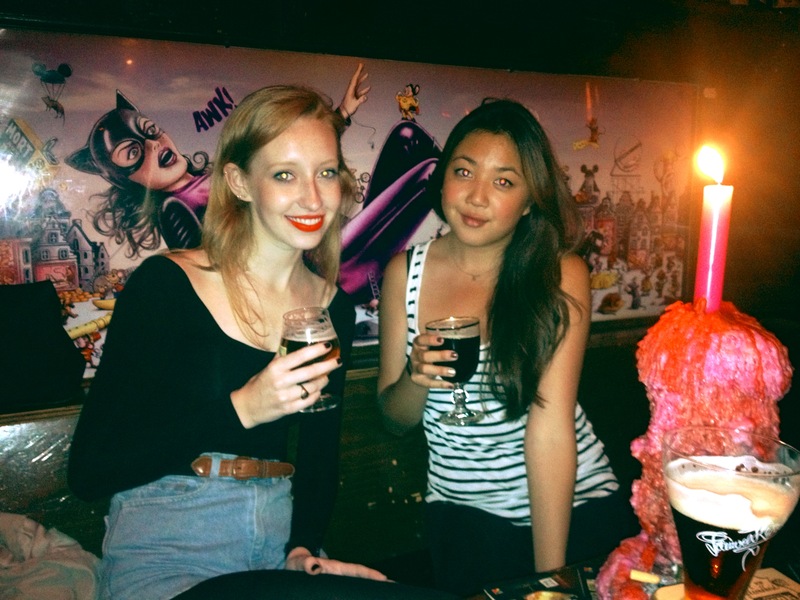 We’ll definitely be going back to Roest when they have live music. Saturday was our second splurge on poffertjes, but I have no regrets. The Roest girls and I took the tram and got stuck behind the protests against the US involvement in Syria. I had received an email from the US citizen services to stay clear of the embassy because of these protests, but they definitely seemed peaceful. It was interesting to see. We shopped around Leidseplein for the afternoon only to come back for naps. Then an insane night began. 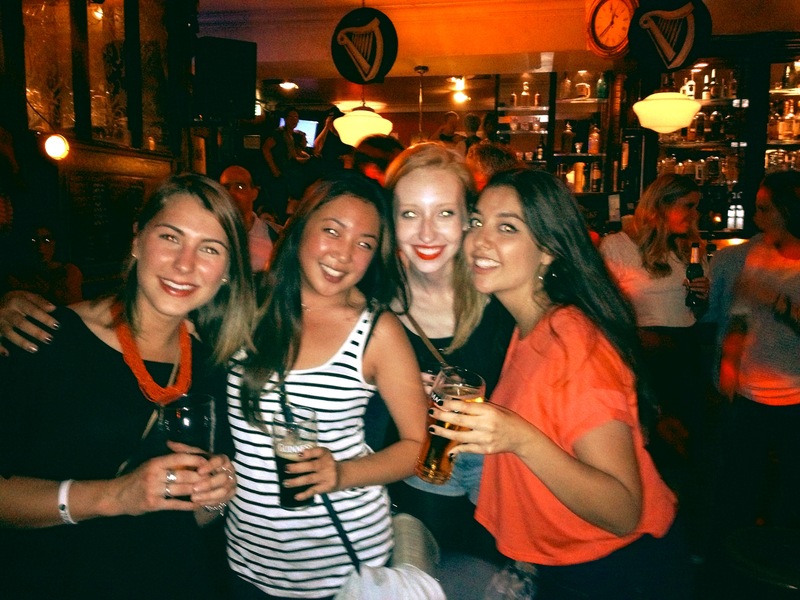 Nat, Kaitlyn, Ivanna and I decided to meet up at the most popular bar in Amsterdam for beers on tap from Belgium. 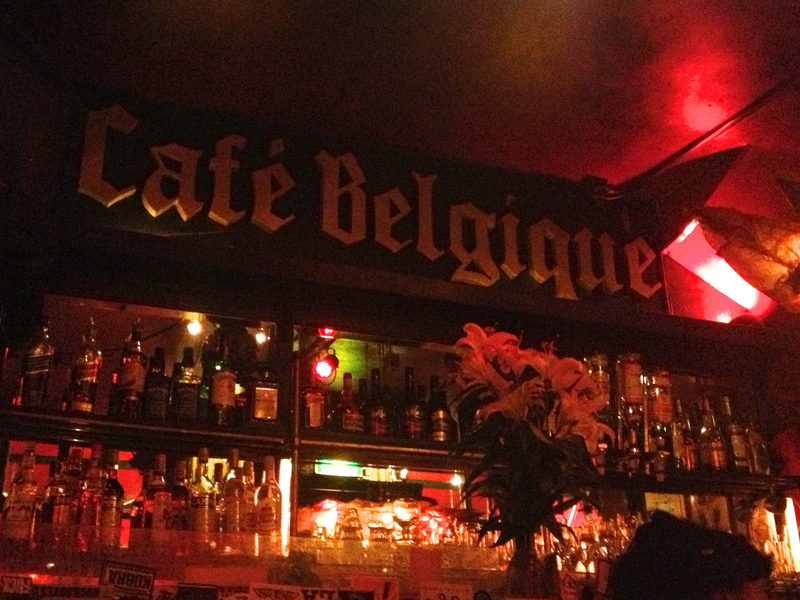 It’s called Cafe Belgique and is known for being incredibly small, but for some reason everyone was standing outside of the teeny bar and there were open tables inside (out of the two tables that existed, we got one). 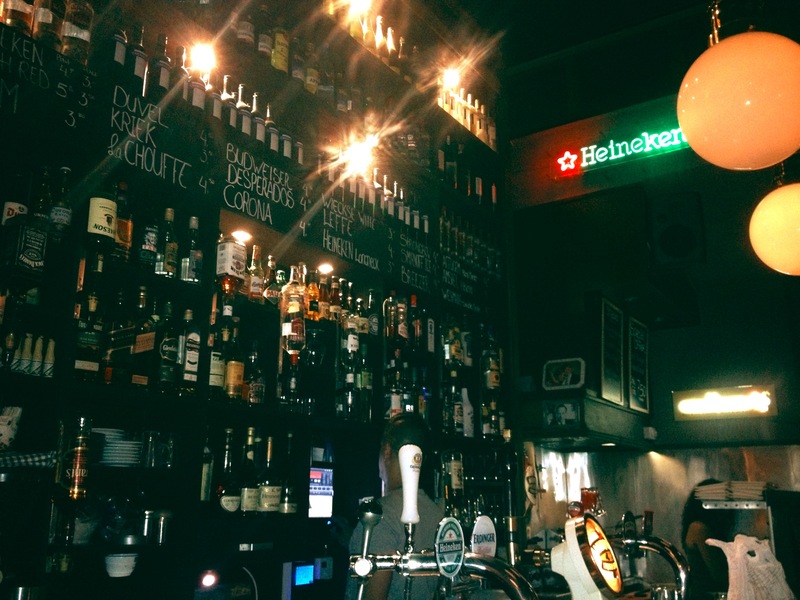 They are known for their eight great beers on tap and over fifty bottled beers. 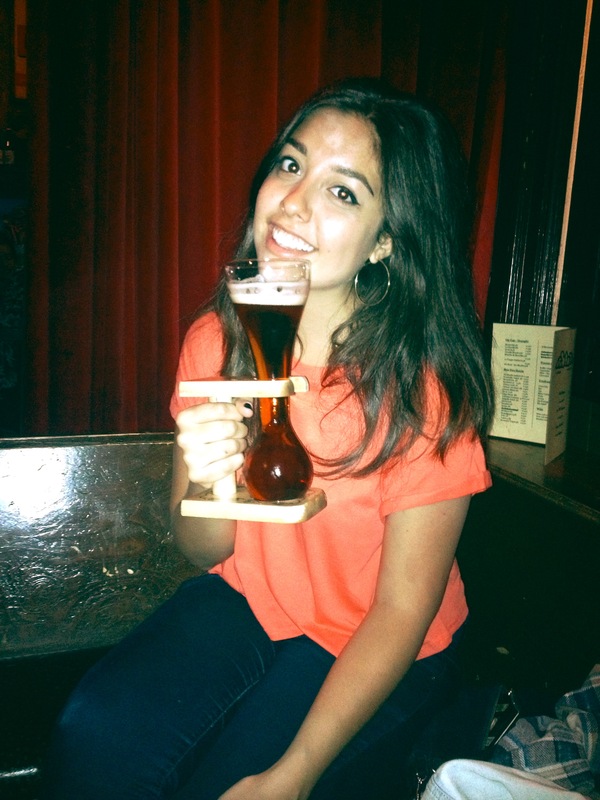 Ivanna and I got the beer of the week, which was Hommel. Still confused what Nat’s contraption was, but I think it’s tradition. We ventured off to an Irish pub (O’Reilly’s) for their first Karaoke night of the season and naturally we had to participate. We chose “Hey Jude” which was a crowd pleaser for sure. Then the night got really weird so I’ll just do quick points: 1) exploring the Red Light District seemed like a good idea at the time, and we were definitely the only females in most of the bars on our miniature pub crawl 2) we went to another Irish pub only to watch a man fall and smack his head into the floor twice because he was very gone, and the bartenders said it happens so often due to marijuana and alcohol combined (but all they need to do is sit outside afterwards?) 3) we met four dapper males (one Dutch, three English, one of which studies at Amsterdam College and the other two at Oxford) near this pub who were determined to take us four young ladies university bars that aren’t Coco’s, which was interesting as bars start closing at 3am and that’s exactly what time it was. We went home shortly after seeing this new university-bar scene because there wasn’t much to see, but it looked like a good place to be in the future. Being friends with very outgoing people pays off.